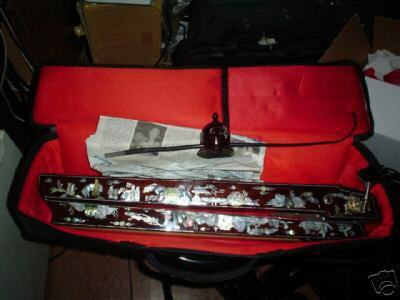 If one sound had to be chosen to evoke Vietnam, for many it would be the sound of the Dan Bau as it is one of only two traditional musical instruments of purely Vietnamese origin. The word bau means gourd and refers to the dried gourd fastened to the handle, surrounding the string at the point where it connects to the handle. In the past this gourd may have served as a resonator, but today it survives as a decorative feature. 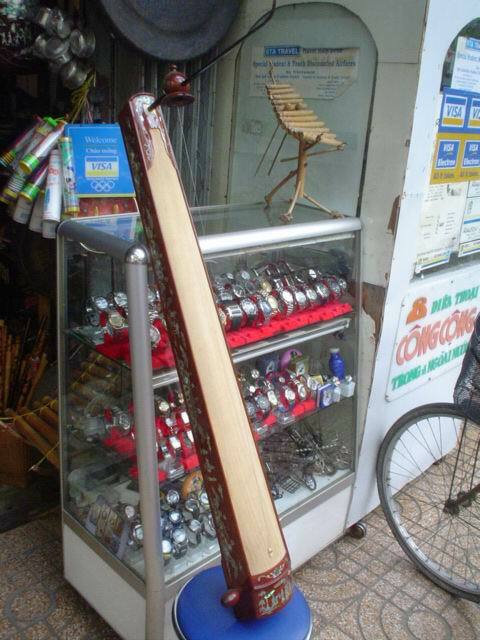 Nowadays the dan bau is constructed using hardwood for a frame and softwood for the surface. 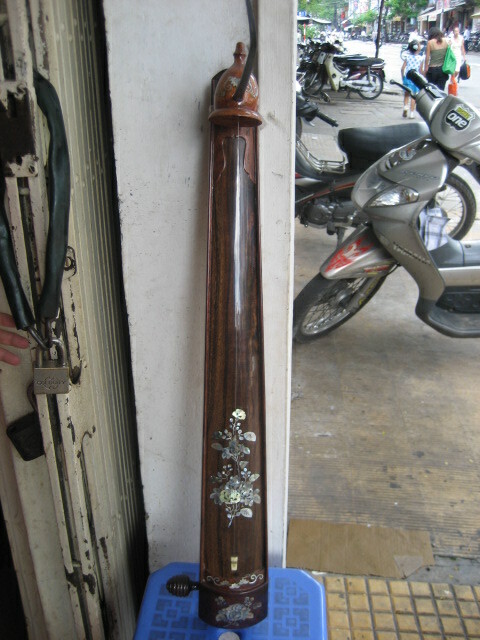 The Dan Bau has a single brass string stretching the length of the instrument, secured at one end to a peg and at the other to a flexible, hooked spike, carved from bamboo or water buffalo horn. The string passes repeatedly through a hollow wooden box. The Dan Bau is always played with a wooden pick held in the right hand to pluck the string while the lower side of the hand stops the string at the appropriate node. The left hand moves the the hooked spike to bend the pitch downward by moving in the direction of the instrument, or upward by pushing the the hooked spike away from the instrument. The left hand also produces a variety of vibratos, glissandos and grace notes. 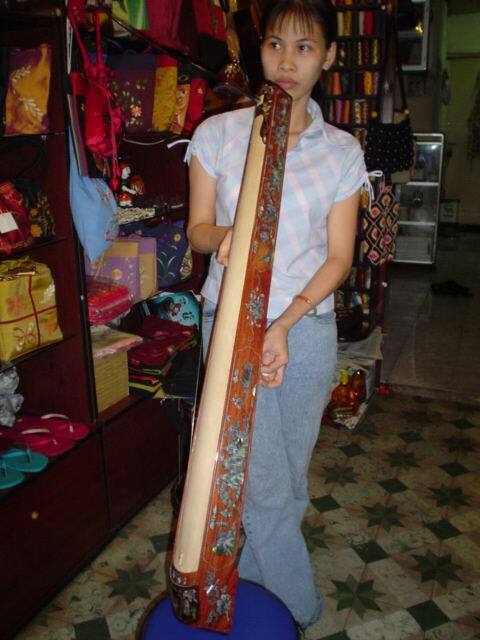 The instrument's virtuosity and expressiveness are found in its left hand technique, which should have a subtlety that mimics the sound of the Vietnamese singing voice or declaimed poetry. There is a story about the Dan Bau. Long ago, farmers went to their fields with baskets strapped to their backs. After work, they would lie down and tie their baskets to stalks of bamboo. The wind would blow and the strings of the baskets would vibrate and make a sound. So people made stringed instruments with silk threads. First they used hollow bamboo and then they used long, dried gourd. At the start of the 20th century, gourds were replaced with wooden boxes.